Welcome the Year of the Pig at our third annual Lunar New Year party organized with NYC’s roving dance party, BUBBLE_T. 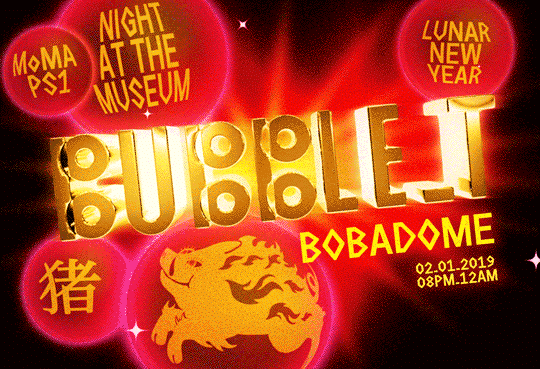 Joining forces with their community of friends and collaborators, BUBBLE_T will transform the VW Dome into BOBADOME for a one-of-a-kind Night at the Museum complete with DJs, live performances, interactive installations, cocktails, and snacks. Special thanks to K11 Art Foundation.